When using UIImageViews, sometimes the built-in content modes can cramp our style. Many times, we're displaying photos of people. In these cases, it'd be great if the image view could somehow be told to intelligently crop the photo around the person's face. Today we'll check out a library from Beau Nouvelle called AspectFillFaceAware. It's super simple, let's take a look. 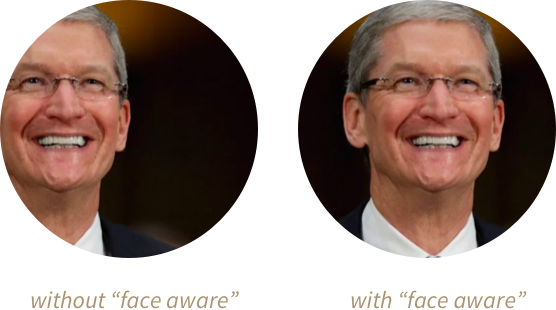 AspectFillFaceAware is essentially just an extension on UIImageView. 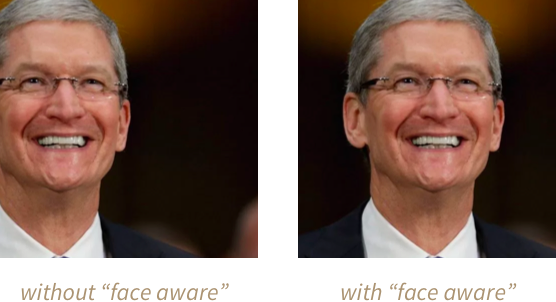 It provides two ways to configure an image view to be "face aware". The first is in Interface Builder, we can enable the feature by flipping on the feature in the Inspector. (Not seeing the option? Run your project once, then it should appear). Under the hood, the library is using a low accuracy CIDetector with a type of CIDetectorTypeFace to handle the actual face detection. Want to dive deeper here? We covered CIDetectors way back in Bite #87. 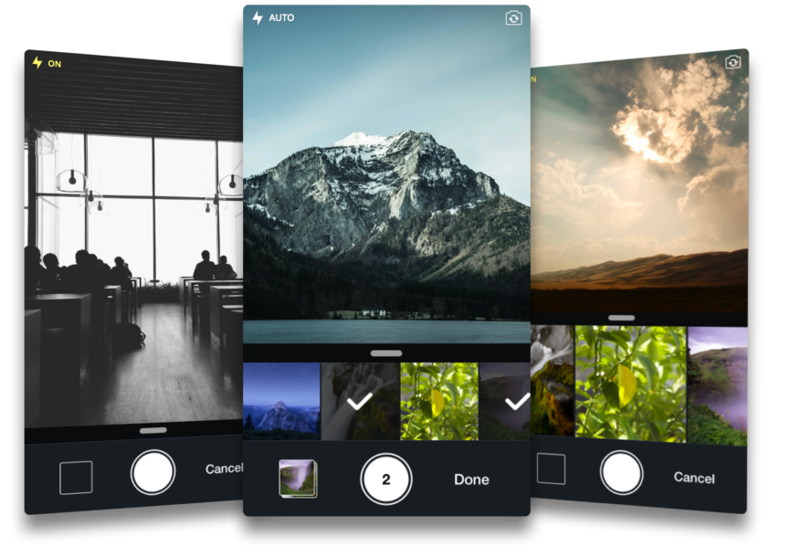 We've looked at allowing users to capture or choose images for use in our apps a couple times here. We learned about UIImagePickerController in Bite #83 and then ImagePicker in Bite #157. Today we've got a new contender in this space called Fusuma. It's by Yuta Akizuki and aims to provide a very full-featured drop-in solution for this task. Let's try it. There's also fusumaDismissedWithImage and fusumaCameraRollUnauthorized functions for handling those cases. We've covered using UIImagePickerController to allow users to capture photos or select them from their library in Bite #83. This is great for some situations, but often we'll want to offer our users a few more features and a little extra usability polish. In Bite #101 we started working on a custom camera view controller. Next, we want to ask our output to capture a still image. Before we can, we'll need an AVCaptureConnection. Connections were already implicitly created for us by our session. They represent the conceptual pipes that move data between inputs and outputs. In the closure, we'll do a safety check then convert the CMSampleBuffer we've been given into an NSData then a UIImage. Lastly, we'll use UIActivityViewController (covered in Bite #71) to allow the user to do something with their new photo. We looked at allowing our users to capture photos/videos using UIImagePickerController in Bite #83. Now we'll take things to the next level by starting to create our own custom camera view controller. Today we'll get all the plumbing wired up and get the preview on the screen. Let's get started. 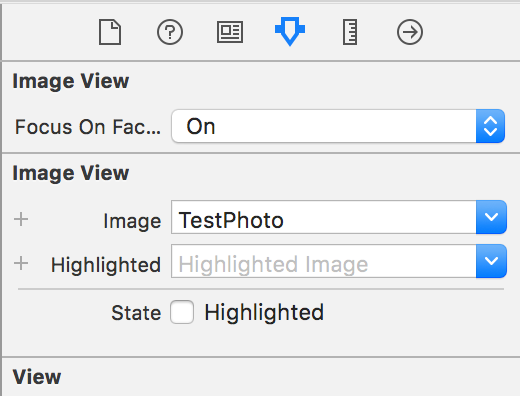 We'll start with the "single view" template in Xcode. There are a number of different objects we'll need to setup and glue together, so we'll go into our view controller and add a function called setupSession. We'll call this in viewWillAppear(animated:). First we'll instantiate an AVCaptureSession. It's sort of the central hub of all this. We can configure it with a number of different presets. We'll use a preset for taking high quality still photos. Now, our session needs some inputs and outputs. We'll use defaulDeviceWithMediaType and pass in Video to get the default hardware device for capturing and recording images on the user's device (usually the the back camera). Then we'll try to create an AVCaptureDeviceInput from the device. Next up, an output. Capture sessions can return us data in all sorts of interesting ways: Still images, videos, raw pixel data, and more. Here we'll set up an AVCaptureStillImageOutput and ask it for JPEG photos. We'll do one more safety check then add both our input and output to our session. Finally, let's display our camera so the user can see what they're photographing. We'll pass our session into a new AVCapturePreviewLayer and add it to our view. Then we just need to start the session. If we run the app we'll see it's starting to look like a camera, neat! Tomorrow, we'll finish up by adding the ability to actually capture some photos. Whew! That's quite a bit of functionality packed into this one class. We can't cover all of that in this Bite, instead let's look at a simple example use case. 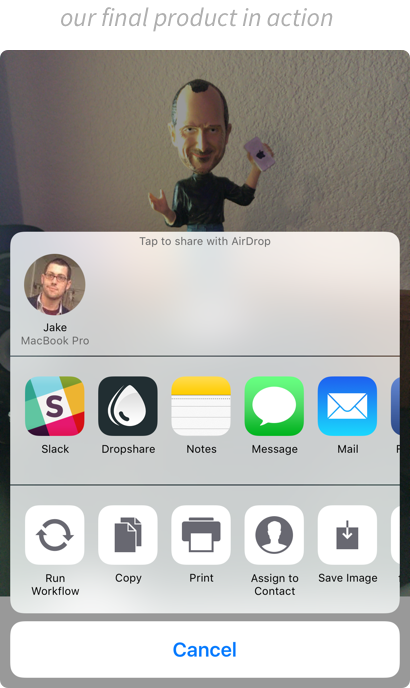 We'll be letting our users take a photo, crop it, and then show how to access it for use in our app. The first step is to find out the device we're running on has a camera, can take photos. 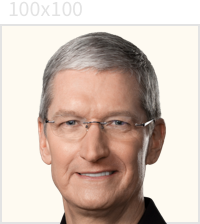 Then we'll configure the UIImagePickerController and present it. Then we'll add a function from UIImagePickerControllerDelegate where we'll get a userInfo dictionary. We'll use the values inside to extract the captured image in either it's original or cropped form. We can also access a few other details, like the cropped rect as a CGRect or the image's metadata as a dictionary. Note that we'll need to declare conformance to the UINavigationControllerDelegate protocol since UIImagePickerController is actually a subclass of UINavigationController under the hood. Images are downloaded and decoded off the main thread. They're then cached using a fast, non-deadlocking parallel object cache. (Courtesy of another Pinterest library, PINCache). Upon subsequent requests the in-memory, then disk caches will be checked before re-downloading. You can process the image before caching occurs. Here we'll use Toucan (covered in Bite #40) to convert the image into a circular avatar. Optionally, you can enable a mode supporting progressive JPEG images. They're treated with a nice blur effect, so they look great even at low resolutions. Whether you're applying a circular crop to user avatars or just resizing a photo downloaded from a web service, processing images can be a bit of a chore. Toucan is a Swift image processing library from Gavin Bunney that makes working with images a breeze. Toucan provides another syntax for chaining different processing steps together. Just call .image at the end to get a final processed UIImage. Here we can also see how to apply a 1 point wide border to the final image. CoreImage works on CIImages not UIImages, so we convert our image to a CIImage, and use guard since the CIImage property on UIImage is optional. CoreImage also doesn't use UIColor, so we create a CIColor instead. Then the fun part, we create our filter by name. CoreImage has literally 100's of different filters available, and instead of subclasses, you instantiate them by name. CIFilters also don't have explicit class properties, you instead supply values for "Input Parameters" on your filter. Lastly, we apply the filter by simply asking for it's outputImage.